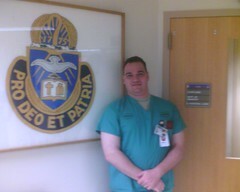 The past two weeks, I have been at Ft. Sam Houston outside San Antonio for the Combat Medical Ministry Course. It was an incredible experience, which “reframed” my experience in Clinical Pastoral Education (hospital chaplaincy internship) in light of a military environment, and challenged me to use the self-reflective skills I learned in CPE to help others who have not done CPE to begin a process of self-reflection and self examination. The Faculty and Staff who taught and administered the course were incredible. I want to specifically thank Chaplain LTC Steven Jordan, for his wisdom, his patience, his passion, his love of God, and his willingness to ask the tough questions of us with compassion. His passion for God and for the realities of clinical ministry took what could have been just a “CPE Refresher” for me and helped me to find in it a transformative experience in its own right. From the depths of my heart, I say thank you. I also want to thank SSG “Mijo”, not only for administering the course, but also for sharing all the stories and practical experience from his tours in Iraq as a Chaplain Assistant. Whether he intended to or not, that sharing continually re-centered us upon the mission and reality of the ministry which we have been called to serve… taking care of soldiers, especially in this time of conflict and war. I also want to thank the course for not only including Chaplains (CH) and Chaplain Candidates (CC), but also Chaplain Assistants. A Chaplain Assistant (CA) is an enlisted soldier who is trained to be the Chaplain’s “battle buddy”. At their and the Chaplain’s best, the CA is bodyguard, assistant, confidant, extra eyes and ears, and “ministry multiplier”. Though I have worked with enlisted soldiers many times, this was my first opportunity to really work closely with a team of Chaplain Assistants, and each of them was outstanding. I found it amazing that the majority of the deep introspective work that was shared during the course was shared by Chaplain Assistants, not by Chaplains. I have to do some processing to see what I think and feel about that, but I’m sure there is a truth within that realization. I had the privilege to facilitate some of that introspective reflection, and for that I am both grateful and humbled. Over the next few weeks, there will probably be several articles based upon my own processing of the experience at Ft. Sam Houston and the Brooke Army Medical Center. I can already tell it will form one of those transformational moments in my own formation as a Unitarian Universalist Minister. Suffice it to say for now that I am back home in Chicago, and that it was an incredible experience. I thank all of my classmates and the instructors… and the Army itself for allowing me to be a part of it. Hello Mr. Pyle… I was an active Army CA for just under 5 years, and been with the National Guard for the past 3 yrs. When I was active I went through the C/EMM training and I loved it, but the only problem was that the information that I received and was only good if we, other CA’s, had the CPE training. 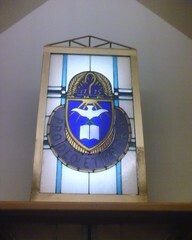 I am currently about finished with my BA in Christian Ministry with a minor in Psychology. Then I will be off to complete my dual master’s (Divinity and Family, Marriage, Life Counselor; FMLC) and I plan on getting CPE done and the group that I am going through will give me a credit for my C/EMM and the four that I get from them; so I will be having a CPE score of 4+1 (not five because there is no such thing, according to the recruiter), but either way, not many people have that. If you had CPE before you were a chaplain , I would check it out. This was a great article as well.